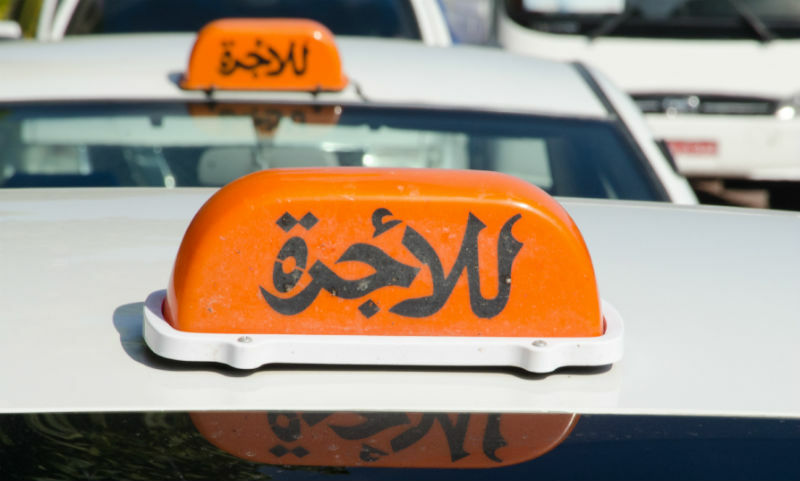 There was quite a lot of news coverage last month over the Taxi situation here in Muscat, and the rather incredible defence from local taxi drivers that having meters would be bad for business. I had intended to write about it at the time but got busy and didn't have the time. Turns out I've been having a bit of insomnia lately so I'm using the fact I'm awake in the middle of the night to tap out some thoughts on this. This story in the Times of Oman reported a Mr Suleiman Al Jardani, speaking on behalf of "around 500 Orange taxi drivers" who stated that meters are not desirable, since with current rates it would be too expensive for passengers, which he fears would lead to a loss of customers. How many of you reading this, as presumably at some point in time being a taxi customer, have not wanted a meter in your taxi? I think the Taxi drivers are missing the point here. The RATE can be changed, if it's too high and people can't afford that, then the rate would be adjusted. What we're talking about here is a uniform price to everyone. I'm a white guy, and I can tell you that for me to take a taxi from outside the Habana sports bar to my house... in Ghubra (before the Chedi lights) that 5 minute cab ride will cost me RO 5... after having bartered down from RO 10. I know full well that this ride shouldn't really cost me more than a rial but I pay it because I have no choice. I get gouged. The only time I can get my head around the taxi drivers not liking meter's issue is when they have multiple customers in their vehicles and want to charge different amounts for different customers. That's a bit more of a head scratcher, but basisa buses running up and down the highway are basically buses and not taxi's anyway, and as for taxi car's doing multiple fare's in one go... one fare per car.... more fares for more car's. So the Orange and white drivers are worried about a loss of customers. How many times have you been let down by a taxi not showing up to your house at the time you requested it to be there? Let's not get ahead of ourselves, how many of you can actually get a taxi to come to your house at all? Let's call a stick a stick for a moment shall we? Generally, Orange and White taxi drivers here, as a group entity, are not very good at being taxi's. They're not all modern, clean and safe vehicles. They're not monitored, there's no record keeping, and they charge inconsistently. Half the time they don't know where you are or where you're going, they don't have maps and they are quite simply unreliable. There are, of course, exceptions to every generalisation, but I'm going with the majority on this one. If Suleiman and his boy's are worried about losing customers because of a meter, WTF are they doing about losing customers through being horrendously unreliable? Nearly two weeks after the above linked article was published in the Times of Oman, they came out with this cracker Plan to regulate all taxis in Oman 'rejected' and again Suleman was quoted as saying this time, "We don't want any other company to come into the market. This company will hurt our business, as it will get exclusive access to strategic places like shopping malls. How will our taxis be able to earn money? If people can easily order a taxi, what's the use of cruising taxis?" Shall I repeat that last line for you? If people can easily order a taxi, what's the use of cruising taxis? IF PEOPLE COULD EASILY ORDER A TAXI MORE PEOPLE WOULD ORDER THEM! He was referring to a plan to regulate all taxis under a single company by the Ministry of Transport and Communications which would allow customers to order a cab when they wanted one, presumably through a call centre. "We need our own call centre, instead of another company which will make it more difficult for us. We are already facing difficulties due to the new bus service". (when explaining that this call centre should have a website and an app for customers) "This service will make it easy for customers to get a taxi nearby. It shouldn't be a matter of choice. All public taxi drivers should join this service and show their commitment to it". Well yes, it shouldn't be a matter of choice. As a taxi driver, you are licensed to transport people in the region you are licensed to operate (in Dubai, it's.... Dubai only, in Oman... it's everywhere in Oman). The Government should demand meters are installed (and should pay for them as it's a change in policy, to be fair) and enforce that operators use the meter's or face the suspension of their operators license. If a taxi driver doesn't want to comply, its quite simple - revoke their license. Why should I have to worry about finding a "nice" taxi driver that I can trust to take my wife home after a girls night out? If all drivers were registered and metered, then they're accountable. And that's what this is really about isn't it. Not wanting to be accountable. I'm tired... and this taxi issue is nonsensical! Taxis are a big disgrace to Muscat. Decisions are being made to appease the local drivers not realizing that the public transport is essential. Probably the only capital in the world that does not have a metered taxi public transport service.! While I would not side with the taxi drivers, I do have a counter view. As ones who access social media and actively post comments (read: comparatively better off than 1.5 million expats of Oman) - we are not the source of income for the drivers. The source of income is the labour class who gets transported in 100 bz and 200 bz across locations. Once the meters start, that business which is regular and which contributes to a key source of income goes for a toss. My second question is - do we even know how much does a taxi driver earn nett in Oman - after all the costs of petrol / car rental etc, generally he takes home 400-450 OMR. And it takes more effort to drive a cab than doing quite a few other clerical, admin and finance jobs which earn the same amount. Rishiraj, that is precisely why the taxis should be privatized or run by the government. This way taxi drivers can earn a steadier income while not having to worry about spending on buying a car. The bus service can then further expand serving the working class. There needs to be a planned process in place, but alas like a lot of things in Oman, it's just adhoc plans that sound great, but aren't well executed. And the added nonsense of these taxi drivers is not helping the situation. Argh! Wife, not wifi.... Autocorrect. It's very simple: It works in every other city. Bring in competition, let expats also drive taxi and have meter in them. MM or Govt. should be the sponsors of such expat drivers. See how things change. Meters are not always used in many part of the world. But when there is competition, everyone tries hard to earn that extra buck. Here there are hardly any taxi's when we want them. Eid holidays or internal roads. Taxi drivers drive whenever they want. I have seen them asking workers to get down, when they see any Europeans or "maids"
The Authorities should be more pro active and look for solutions. Now a days more and more locals from the interiors who work or study in the capital area have started using taxi and buses as they are not able to afford their own cars. We can always learn from our neighbour's and implement things which are good for the population. I think expats shouldn't be allowed to drive taxis or buses... unless they are tour buses. 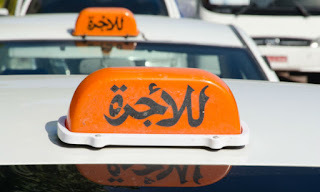 I think training drivers of taxis (fulltime only---most taxis are only part-time and actually renting their taxi license while having another job) to drive buses safely provides more secure jobs in Oman.... which Oman does need. However, again Omanis should be able to be FIRED if they behave inappropriately, are unsafe, or unprofessional or are late ect.... Oman needs to stop importing skillsets that Omanis do actually have... for economic stability. But taxis now are unreliable, still sometimes expensive, often unsafe, and totally unaccountable. Puting meters helps, and having a call center would be great... I think prviate companies would be better than government actually however... That's kind of how it works in most traditionally defined "developed" economies. And drivers can sued or fired by the companies to support passengers with legitmate complaints. And Oman (culturally, economically, sociall etc) is nothing like Dubai... so we can't compare what makes economic sense there in terms of employment and feasbility....Better to make suggestions that increase Omanisation at the same time, increasing service, safety, and reliability. The current taxi system is unreliable, often unsafe, and totally unacocuntable. It also does not help Omanisation very much or the economy because most taxis do not earn much... Part-time taxis also technically should not exist...... because their car license is in another's person's name. Omanis with full-time government jobs are generally not qualified to have taxi licenses but most taxis are like this in my experience---ROP, Army, school guard/drivers.....so even you mae a complaint against someone you happened to have made note of... and the taxi license is revoked... dude can just "rent" a license again and continue to be a loser/creep who shouldn't be driving or around other people.